When a faceless stalker menaces his family, Nick, a single father of two since the recent death of his wife, finds that the gated community they live in is no protection at all. He decides to take action, a tragedy ensues — and immediately his life spirals out of control. At work, Nick begins to uncover a conspiracy against him, involving some of his closest colleagues. He doesn’t know who he can trust — including the brilliant, troubled new woman in his life. Meanwhile, his actions are being probed by a homicide detective named Audrey Rhimes, a relentless investigator with a strong sense of morality — and her own, very personal reason for pursuing Nick Conover. With everything he cares about in the balance, Nick discovers strengths he never knew he had. His enemies don’t realize how hard he’ll fight to save his company. And nobody knows how far he’ll go to protect his family. Also published in paperback in the UK as NO HIDING PLACE. "Compelling . . . COMPANY MAN confirms what PARANOIA made clear: [Finder] has unusually keen instincts for back-stabbing in the business world. . . as much a novel about the chicanery of the business world as it is a mystery story . . . Finder weaves these prospects menacingly throughout the story." "Finder skillfully places his story of corporate intrigue (who is trying to sell the company, and why?) in counterpoint to the unravelling of a family's secrets (why is Nick's son Lucas so disturbed? ), and the plot, which also features rogue cops and at least one homicide, accelerates to a headlong finish." 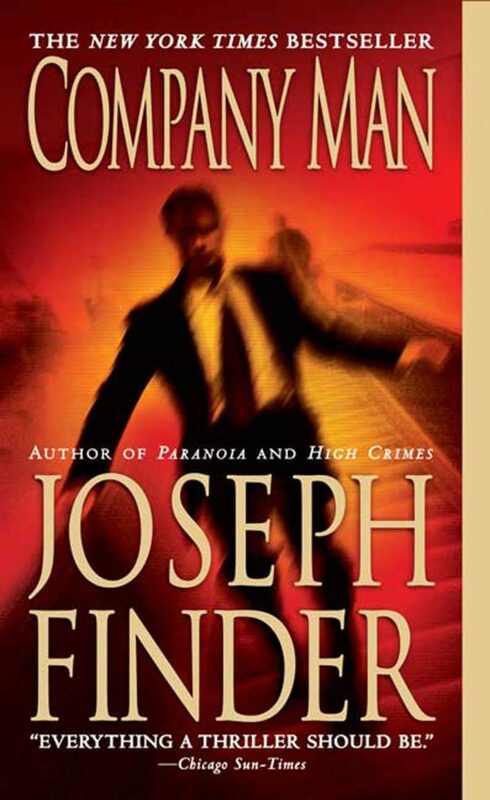 "Finder has become a master of the modern thriller. There are twists and deceptions packed in here…Once again, Finder has managed to update the claustrophobic thriller into something that resonates with our times. . . . Joseph Finder has secured his niche as a master of the contemporary corporate thriller, a smart plotter in touch with our new century's soft spots." "Propulsive… should cement Finder's reputation as a reliable chronicler of the perils lurking in e-mail and the executive suite." Nick backed his Chevy Suburban out of his space too fast, not bothering to check whether anyone was behind him, and careened through the parking lot that encircled the headquarters building. Even at the height of the workday, it stood half-empty as it had for the last two years, since the layoffs. Gallows humor abounded among the employees these days, Nick knew. The upside of losing half the workforce was, you could always find a parking space. His nerves felt stretched taut. Acres of empty black asphalt, surrounded by a great black field of charred buffalo grass, the remains of a prescribed fire. Buffalo grass never needed mowing, but every few years it had to be burned to the ground. The air smelled like a Weber grill. Black against black against the black of the road, a desolate landscape. He wondered whether driving by the vast swath of scorched earth everyday, staring at the charred field through the office windows, left a dark carbon smudge on your psyche. You need to go home. Now.